Cloud application integration and deployment continue to be some of the top challenges for software developers. 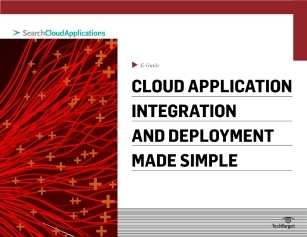 In this expert e-guide, learn how cloud-based integration services can relieve pain points. Additionally, discover the most common mistakes in cloud application deployment that you should avoid.